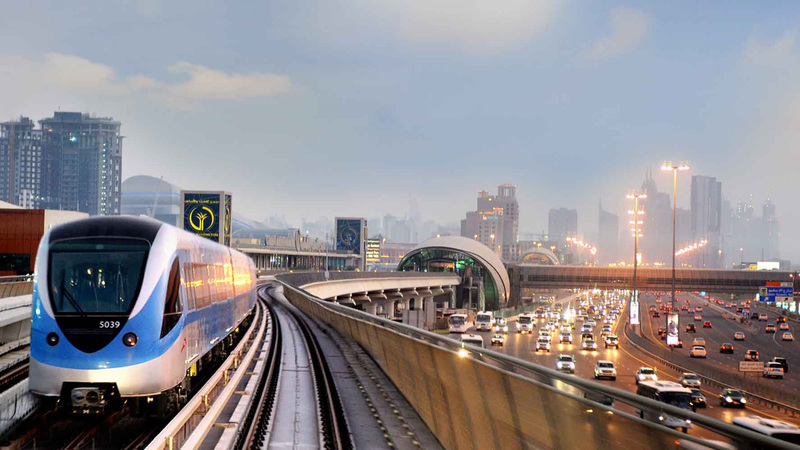 Dubai: Since the rollout of the Dubai Metro, a lot of people have opted to live closer to a train stop and changed the way they get to work. Many have abandoned their cars for the mass transit system. However, with convenience, comes a higher price. A lot of the properties that are just a stone’s throw away from a metro stop can by pricey, with annual rents costing tenants 10 per cent to 20 per cent more. However, there are still pockets of communities out there that don’t break the bank. Findings of a new research by a real estate platform showed that it is still possible to rent a one-bedroom flat near the Dubai Metro for less than Dh60,000 a year. Apartments along the Green Line that pass through Bur Dubai and Deira, some of the popular areas for expatriates, provide tenants with the cheapest one-bedroom options, according to dubizzle. The most affordable properties can be found in Hor Al Anz, which provides easy access to the Al Qiyada metro station. In Al Qusais area, apartments along the mass transit system can be had for Dh58,000, providing the second-most cheapest option for residents near a metro stop. If Al Qusais is not an option, there are other one-bedroom flats in Abu Hail, Al Jadaf and Naif that are not too far from the Baniyas Square station and can set a tenant back Dh60,000 a year. For those who opt to live anywhere along the Red line, which transports passengers between Rashidiya and Jebel Ali, and passes through Dubai International Airport, Deira, Bur Dubai and Shaikh Zayed Road, one-bedroom accommodations can cost less than Dh70,000 a year. The cheapest can be found near Deira City Centre, a good location for those who love to shop, with flats costing an average of Dh65,000 a year. In Satwa, similar apartments can cost Dh67,000 a year, although the area is not along the metro link. However, Satwa enjoys a network of buses that offer stops at metro stations and it’s still within short travelling distance to the Jafiliya, World Trade Centre, Emirates Towers and Financial Centre stations. Not far behind are apartments in Discovery Gardens, which is also served by buses that travel to the Ibn Battuta metro station, with one-bedroom flats costing an average of Dh68,000 a year. There are also similar properties that are within short walking distance to the Mall of the Emirates, which has a direct link to the Dubai Metro. The nearest location, Al Barsha 1, can offer options for Dh70,000 a year, while in Karama, the cheapest can be had for Dh71,000 a year. Al Barsha and Karama are very popular among tenants, with dubizzle reporting that property searches in these areas hit 49 million and 22 million, respectively, in 2016. Ann Boothello, senior product marketing manager at dubizzle, noted that affordable accommodations near metro stops attract a large volume of searches each year. An earlier research conducted by ValuStrat had shown that properties that provide easy access to the city’s mass transit system can cost a tenant dearly. A review of apartments listed in the Jumeirah Lakes Towers (JLT) area, for example, showed that a studio unit near a metro stop can cost 20 per cent more. Besides, finding a vacant apartment along the metro line can also prove to be challenging. “We find much less choice for properties within a five to ten minutes’ walk to a Metro station, as these properties enjoy lower vacancy rates and landlords don’t have to work too hard to market them,” Haider Tuaima of ValuStrat had said earlier.